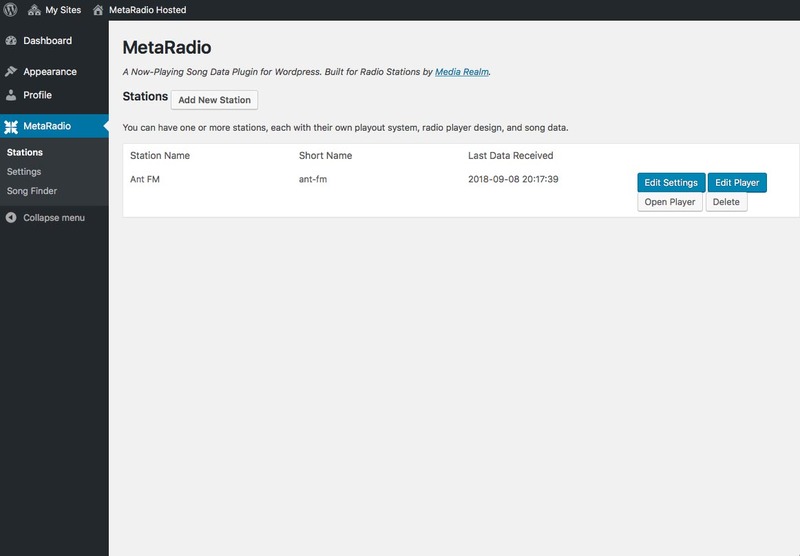 This radio station is powered by MetaRadio. 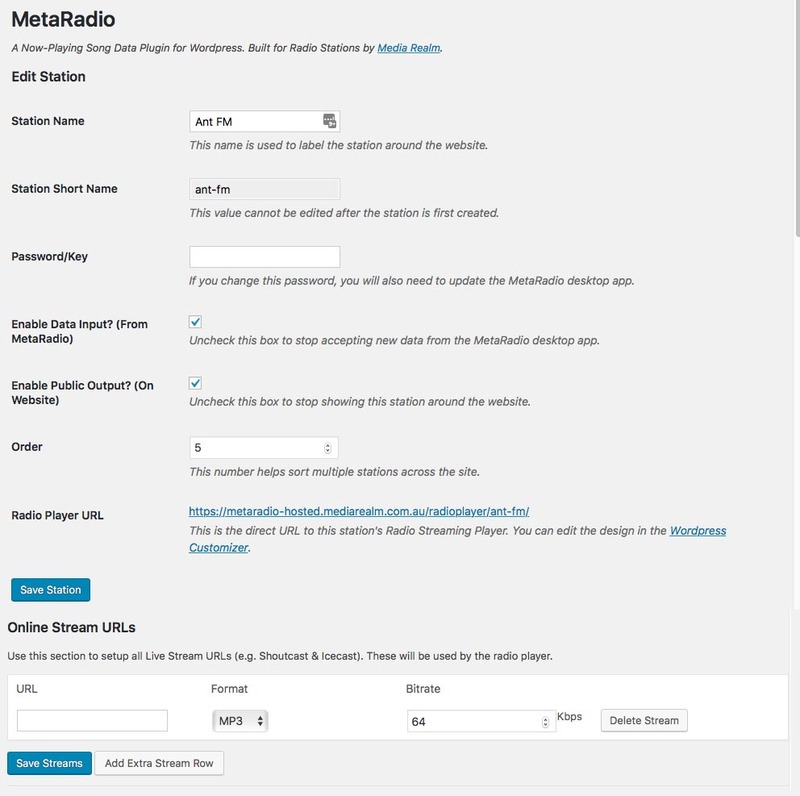 This page contains a basic demonstration of MetaRadio and its functionality. If you’re interested, please check out all the information about MetaRadio. You can style this section however you like – the data is provided via simple shortcodes. You can have your developer customise how this looks. MetaRadio provides some handy CSS classes. You can use these anywhere on your site. Elements that use this class also need the attribute data-stationid=”1″. Anything with this class will be hidden when there’s no song currently playing. Anything with this class will be hidden when there were no songs recently played. Anything with this class will be shown when there is no song currently playing. 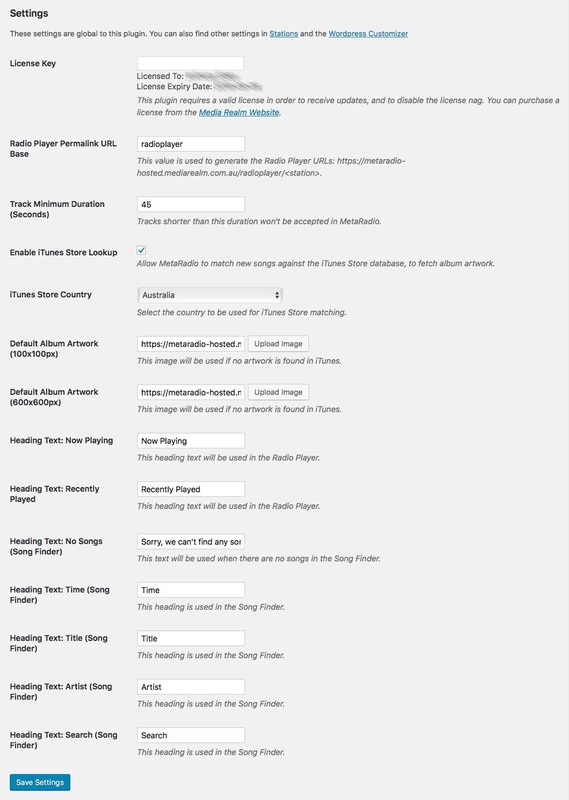 Anything with this class will be shown when there are no recently played songs.